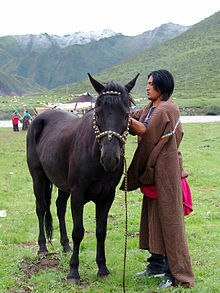 The Hequ Horse is one of the most common and popular equine breeds from China and Tibet with an ancient history. 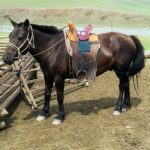 Presently used as a pack and draft horse, these horses are also reared for their meat, with thousands of them found mainly in the Xiahe, Luqu, and Maqu areas. 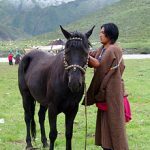 Interestingly, the Hequ horse gets its present name only in 1954, before which, it was known as the ‘Nanfan’ (which is now a generic name for a Tibetan horse breed) or the ‘Tu-fan’ (a warhorse breed). The Chinese name ‘Hequ’ is, in turn, a reference to the name of the first loop of the Yellow River of China along the northwestern Tibetan plateau, where it originated. This breed can be traced back to 7th century, during the time of the famous T’ang dynasty of China. 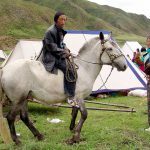 During this time, the then Chinese emperor ordered to build up a stud where war mounts for cavalries can be bred successfully. 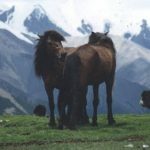 With this view in mind, horses began to be imported from the western regions of Asia to cross with the local stocks, including the Tibetan Pony, the Mongolian and the extinct Ferghana horses. The result was a success, and the new horses soon became popular and continued to rule as mounts in many battlefields. 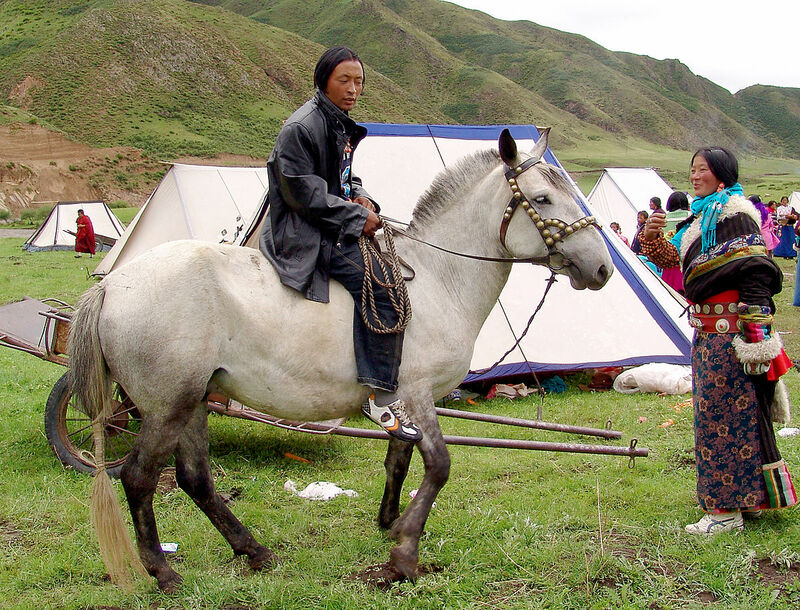 In the 19th century, the bloodline of these horses was further improved by using the Dawan and the Datong horses. Apart from being used for racing and riding purposes, these animals are also bred in many parts for their meat that has high nutritional value. 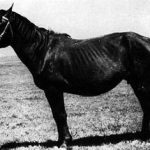 According to a 1980 census, this population of this highly popular horse was around 180,000. However, the heads decreased to an alarming rate, almost one third, only two years later, counting to about 60,000. 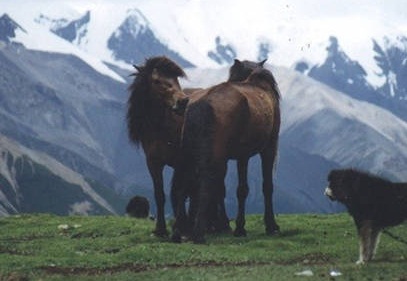 The primary cause of this decline was a local policy that encouraged the breeding of yak and sheep instead of them. 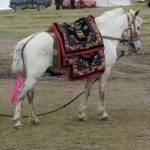 Presently, the population of this breed is estimated to be about 200,000, and it is extensively used in some ritualistic horse racing, which is very much famous, attracting hundreds of thousands of local spectators. The Jiaoke or Jiaode type is the heaviest of the three that often have problematic hooves, and are mostly grey. They are found in the south of the Gansu province. The Suoke type has the broadest head, compared to the other two types. They are found mostly in the western regions of the Sichuan province. 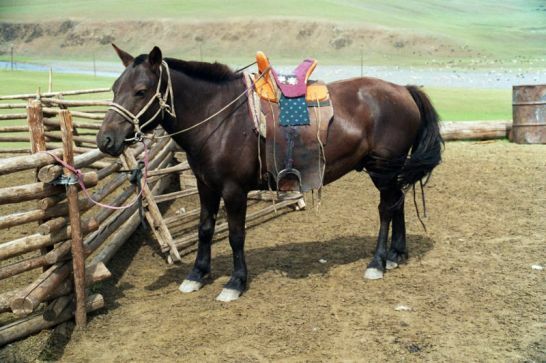 The Kesheng type exhibits more influence of the Mongolian horses and is common in the Kesheng Autonomous Region. An adult Hequ can carry as much as 240 pounds for over 600 miles. 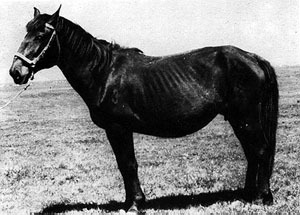 The meat of this horse is valued especially for its high protein content (about 22.8%) and low fat (4.96%). In T’yang art, the Hequs have often been depicted with their tail carried high, which is very similar to the present ‘Suoke’ type.